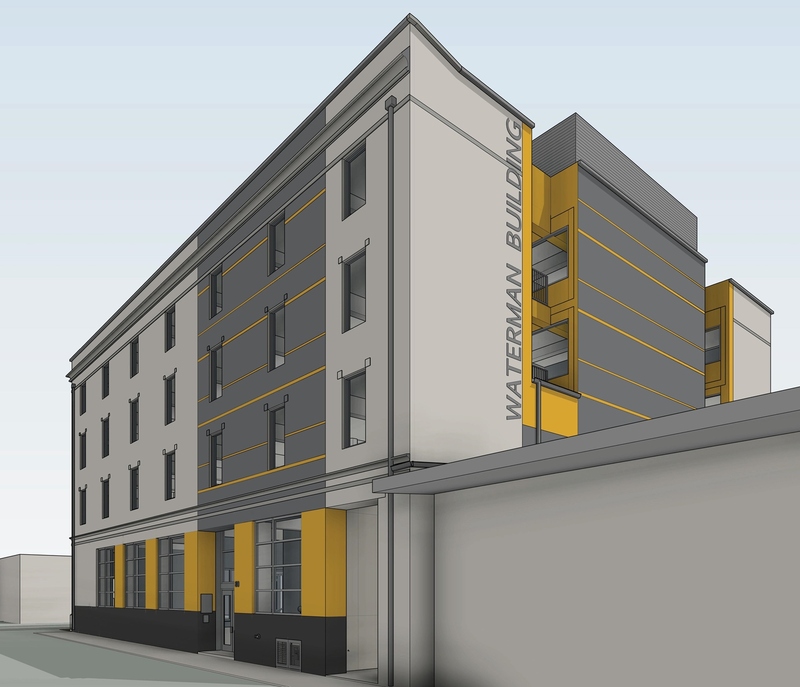 The Waterman Building is a currently under construction in the Central Eastside Industrial District. The project at 80 SE Madison St is a conversion of an existing 40,000 sq ft warehouse into creative office space. As part of the project the 1912 building will receive a seismic upgrade, have new fire sprinklers installed and be made ADA accessible. Bike storage and showers will be provided on the ground floor for bike commuters. The design is by Deca Architecture for North Rim Development, who previously worked together on the Pitman II Building on the same block.